In order to improve efficiency and reduce printing costs, invoices for outstanding account balances will be sent electronically from 1 July, 2018. We hope that you will find this a more convenient way to receive your invoice. GPs appear to be warming to patient portals that let them communicate with patients over the internet. Karori Medical Centre doctor Peter Moodie said about 40,000 people had registered to use patient portals, including about 4500 at the Karori practice. The practice has been a pioneer with about 40 per cent of its eligible patients enrolled. Patients can use its portal to book appointments, check their lab results, request a repeat prescription and send messages to their GP, he said. A patient of the practice myself, Moodie offers to have me enrolled over the phone and five minutes later I have my own password and it’s done. Online is a record for an antibiotic I was prescribed last year, some notes about my family medical history, my occupation, an admission I smoked until 2000 and a “surprise revelation” (not quite true) that I consume 10 units of alcohol a day. 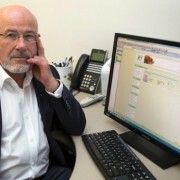 Karl Cole, a GP who has his own Auckland practice and is an “ehealth ambassador” for the National Health IT Board, said some doctors remain resistant to patient portals, fearing they would increase their workload for no extra benefit and they might get swamped by patient requests. But he said more GPs were coming round as they realised they could use their features as much or as little as they liked. The top three uses he had found for his portal were to process repeat prescriptions, to follow-up on consultations and to share the results of blood tests. Moodie said attempting to diagnose people online was probably the lowest of all the priorities. “Time will tell, but I just don’t think that is really going to happen, because when people ask for advice, just about invariably the answer is ‘you should come in and we should have a look’. The Government is championing patient portals. Health Minister Jonathan Coleman said GP practices in the central North Island that had enrolled in a “Productive General Practice Programme” that is modelled British National Health Service initiative had been able to free-up time by issuing repeat prescriptions through them. “Feedback from both staff and patients has been positive. This programme is improving services and providing better patient care,” he said in a statement on Wednesday. 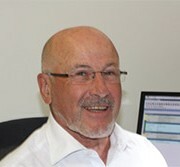 Moodie said the most widely used patient portal was supplied by Australian company Medtech. But the market is competitive. Auckland software firm Vensa Health, which says it supplies software to about two-thirds of New Zealand’s 1000 GP surgeries, says it will offer a patient portal next year that will let them provide care in new, “more convenient” ways, using smartphones. Vensa’s software is mainly used by GPs to send patients reminders about appointments and medications, but chief executive Ahmad Jubbawey said it was “moving in the direction” of supporting online consultations, among other services. The app would be simple to use and GPs would be able to choose whether to charge for the services they delivered through the portal, he said. The firm’s 15 staff has been working on the patient portal for two years and announced last month that government grants agency Callaghan Innovation had agreed to cover a fifth of its research and development costs. If you consider how we live in the Western world today very little resembles the way our hunter-gatherer ancestors lived 10,000 years ago. We live in houses, sleep in beds, travel by cars and planes. We build bridges and skyscrapers. We can read and write. While most people are happy to exist in the present, when it comes to food, growing numbers of people are abandoning modern diets and returning to the food habits of our primitive forebears in the Paleolithic period, between 2.5 million and 10,000 years ago. Broadly speaking, proponents of the Paleolithic, or paleo diet, believe longevity and good health comes from eating mostly fish, meat and vegetables – foods we presume ancient hunter-gatherers ate before the advent of agriculture and industry. 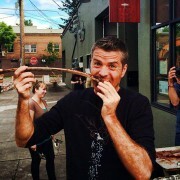 Paleo followers eschew grains, dairy and processed foods. But the logic of the diet fails for a couple of reasons; it oversimplifies what early hunter-gatherers ate, and it assumes humans haven’t evolved since the stone age. So what do we know about the feeding habits of our Paleolithic ancestors, and how relevant are those habits to our own wellbeing? While scientists cannot return to watch our ancestors prepare their meals, studies of archaeological remains, such as pottery and shells, combined with research on skeletal remains, particularly fossilised teeth, reveal many clues about their diets. Significant insights have also come from observing contemporary hunter-gatherers, such as the Kalahari bushmen in southern Africa. Professor Vanessa Hayes, a geneticist who works with African populations, says, unsurprisingly, the diet of contemporary hunter-gatherers is based on what they can gather. But apart from this commonality, their diets vary significantly, depending on climate and geography, says Professor Hayes, from the Garvan Institute of Medical Research. “The basic diet of the hunter-gatherers in the Kalahari is the bush potato, bush cucumber and the manketti nut,” she says. But travel to a community 500 kilometres further south and a type of raisin berry is the centrepiece of their diet. Where traditional hunter-gatherer diets diverge significantly from the paleo craze is meat consumption. Professor Hayes says meat was not a daily staple of ancient ethnic groups in Africa. “Meat was a celebration [because] you had to expend a lot of energy on the hunt,” she says. After a successful catch, the entire beast was consumed, more or less, at once. “The hunter-gatherer diet was one based on stuffing yourself until everything was eaten, then you may live three or four days without eating at all,” she says. Professor David Raubenheimer, a nutritional biologist at the Charles Perkins Centre at the University of Sydney, says studies that examine what types of food were available also tells scientists about the food habits of these groups. A pilot programme designed to help those with diabetes gain better control of their condition is reporting positive results. Karori Medical Centre in Wellington has trialled the pilot, which involves hospital specialists upskilling family doctors and nurses to work closely with people in the community. A Karori GP, Peter Moodie, said 55 patients with the worst diabetes took part in the pilot and after 15 months a quarter saw their HBA1C levels – the key marker of diabetes control – drop into the normal range. Of the patients who took part, 80 percent saw a drop in their blood-glucose scores of more than 10 millimols a litre, indicating better control. Dr Moodie said care was delivered sooner for many patients and it was a model for other long-term conditions. With Capital & Coast District Health Board, the medical centre has been running a special programme to help their patients with diabetes stay well and out of hospital. The programme, which is largely led by nurses, has had some outstanding results. A patient’s HbA1c level shows their average level of blood sugar and is a useful way to tell how well their diabetes is being managed. A group of 55 patients at the Karori Medical Centre who had the most severe disease were followed for 15 months to see how much they would improve with intensive management. The centre found that from their highest ever reading, nearly 80% improved their HbA1c significantly, and of those, nearly half achieved that in the 15-month study period. The better or nearer normal a patient’s HbA1c and blood pressure, the less likely they are to get conditions such as kidney disease, diabetes-related eye problems, nerve damage or erectile dysfunction. 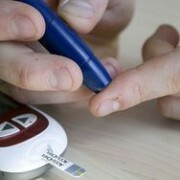 Hospital admissions of Karori Medical Centre patients with diabetes have also reduced. ‘We looked very carefully at our patients who have the highest blood sugar levels, to work out how best to help them manage their diabetes,’ says GP Dr Peter Moodie. Patients were contacted frequently by phone, text or email to be sure they came in for assessment and to discuss their medication and diet. As diabetes is so strongly influenced by diet, the centre arranged for a nutritionist to give a series of talks for patients on eating to help control diabetes. Practice nurses worked with patients to reduce their blood sugar levels – with valuable input from a hospital-based specialist diabetes nurse who would visit the practice to provide training and support. Thanks to this training, some Karori Medical Centre practice nurses are now able to start patients on insulin for the first time, whereas previously, patients would have had to go to Wellington Hospital. Because of the link between type 2 diabetes and CVD, the practice has also been offering higher-risk patients free cardiovascular risk assessments – even calling them at home in the evenings when necessary. These patients are given education about reducing their heart disease and diabetes risk and are free to call the centre for advice at any time. Dr Moodie says the success of the project was undoubtedly due to having doctors, practice nurses and the specialist diabetes nurse working together.